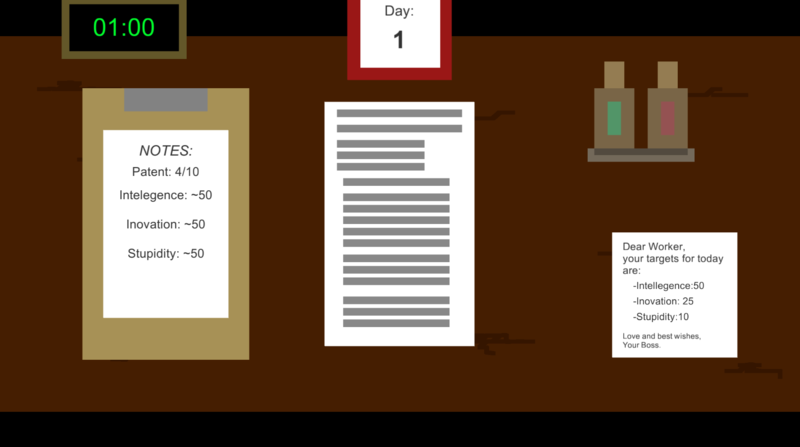 Patent Paper Pusher is a simple Papers Please meets WarioWare sort of game, made for Loading Screen Jam(#LoadingJam) over a single weekend. The aim of the game is simple, approve enough patents to meet your targets in order to keep your boss happy and last as many days as you can. 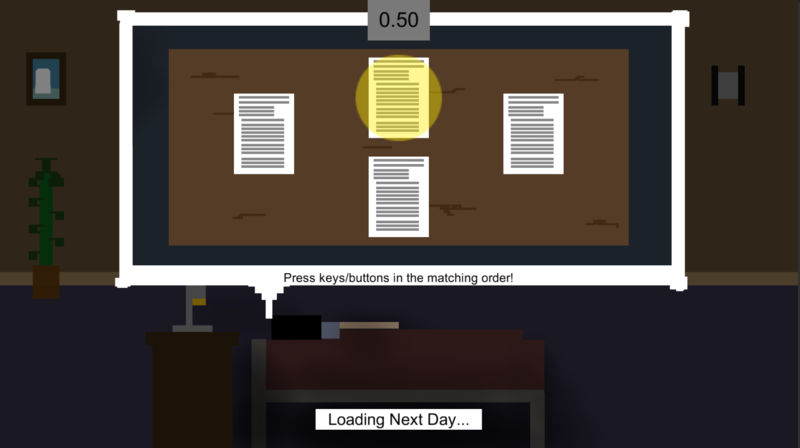 You play as a patent clerk who during the day must view and pass enough patents of a given set of criteria(in order to please his boss), miss the criteria enough times and it will be game over. Unfortunately patents are confusing and rather detailed for the poor clerk, so he initially speed reads through the patents, this saves time but gives less accurate information on the paper. However, for a more accurate view, the clerk can analyse a paper, but this uses up 10 units of his work hours. 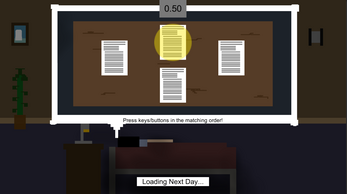 After completing a full day the next will load, during this loading you will play one of three mini games based around the dreams of the patent paper pusher. Survive the night and all shall be well in his world. However, if you fail, the poor patent clerk will have a restless night, with morning coming sooner than he wishes. As a result, time will go quicker the following day, and so he will have less time to meet his targets. Added Mac and Linux versions. This game uses the standalone Unity package. Simply download for your OS, and unzip, no installation required.